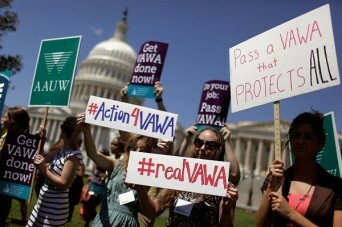 Activists demand an inclusive, and immediate, Violence Against Women Act. Where the Senate bill granted access to federal grants for LGBT victims, the House bill is silent, removing all mention of “sexual orientation” or “gender identity.” As a result of this omission, LGBT-inclusive crisis centers could be shut out from essential grant programs. Posted February 24th, 2013 & filed under Activism.